I'm one of those people who still uses an ipod when I run. I know. I know. I need to get with the times. I use my iPhone when I'm on the treadmill, but I don't normally run with mine because I don't have a holder. 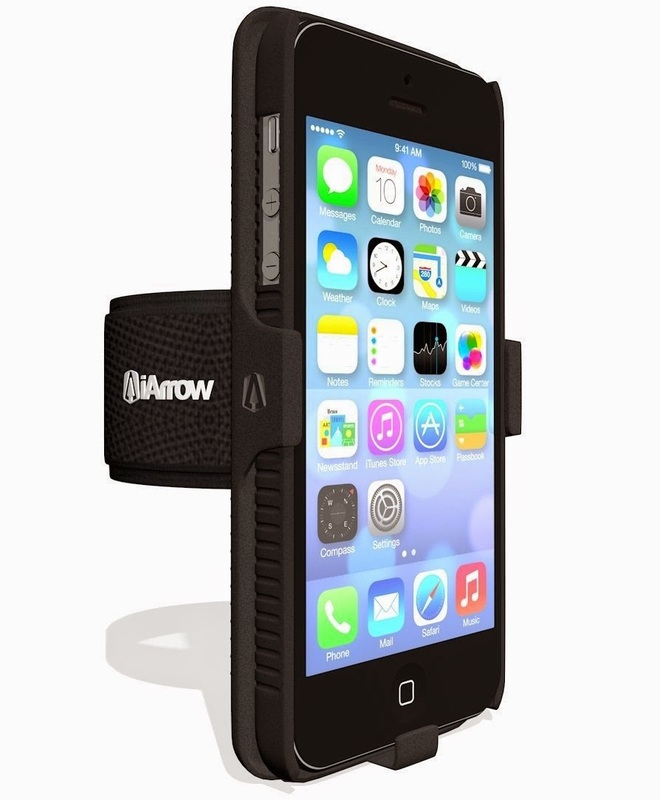 Well, I had the opportunity to review the iArrow - iPhone 5 Armband. I was anxious to give it a try. Upon my first inspection, it seemed easy enough to use. Basically you put your iPhone into the holder, put the holder into the case and strap it to your arm. However, I have a hard cover case on my iPhone. I have the case that you can drop it in water, drop it down stairs or on concrete and it will supposedly still work. I've dropped my phone numerous times, and with Lil Man's use of my phone, it requires a heavy duty case. So I was disappointed that I would have to remove the case to use the iArrow Armband. Now in fairness to the product, there isn't anything wrong with the product. It is simply that my case doesn't work with it. And for me, removing my case in the wee hours of the morning (when I often run), just isn't feasible. So this case will not work for me. But the iArrow - iPhone 5 Armband, was durable. I have super tiny arms so the band was a little big for me, but it seemed to stay put for the most part. The case fit snug (no jiggling). I could get to all of the buttons while the phone was in the case. All in all, this was a nice iPhone holder, especially if you don't have a special case or don't mind removing your case to use it. This case does have a screen protector which I found was a nice addition. Lovely iArrow Arm band. Can you help me of this? I am a budding member here and hope you will help me out of this dilemma. I am an Athlete and I wish to buy iPhone 5 Running Armband. It should be authentic and should look sporty and classic. One I cam across on http://www.rizeonlineshop.com and it is handsome but I am in dilemma to buy this due to quality factor.